This page should be updated due to game changes. No reason was specified. Upwell Structures are large player made structures. They replace the older player made outposts and player-owned starbases. 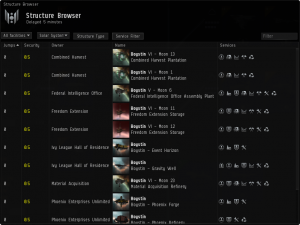 Please refer to the links in the right panel to find more information through the UNIWIKI as well as CCP's Helpdesk Articles on Player Owned Structures. In order to build an Upwell Structure components must be made. Structure components can be either bought from the market, built in stations or in Component Assembly Arrays. The final assembly of the structures can take place in either a station or Equipment Assembly Array. After construction the structure needs to be deployed. The only restriction on deployment are in Trade Hubs, Career Agent Systems, New Player Starter Systems, Shattered Wormholes and Thera. Access rights to an Upwell Structure are organized through the Access Lists UI through the Neocom menu. Access Lists contain profiles which grants access to the list of people who are within said profile. Because Upwell Structures can only be deployed by members of player owned corporations, that corporation will have a default access list that other capsuleers cannot be added to. There are four levels of rights that can be given to users: Administrator (can add or remove members of any level), Manager (can add individual members, corporations or alliances), Member and Blocked. Administrators and managers of a list are the only ones who have access to view and modify their respective lists. 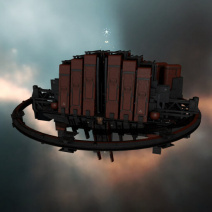 To grant a capsuleer rights to an Upwell Structure they must be added to the access list via the "Add Members" button. Although characters, corporations and alliances may be added through this method, if the capsuleer is part of an NPC corporation of faction then they must be added individually. Upwell structures can also be set to grant public access. In the case that any capsuleer may access the structure the access list may also be effectively used as a blacklist. 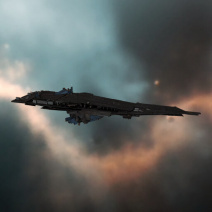 To deny access rights of an Upwell Structure to a capsuleer they must be added to the access list, and set to "blocked". 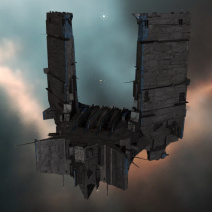 Citadels are Upwell Structures meant to be used as operation bases. They receive bonuses to combat rig effectiveness, market service fuel usage and cloning bay fuel usage. Citadels also have the shortest vulnerability duration's and strongest combat options making them easier to defend. 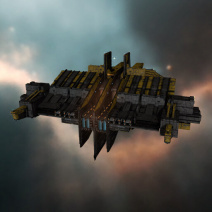 The three citadels are Astrahus (medium), Fortizar (large) and Keepstar (extra large). They have exactly same structure bonuses so the difference is only how much things they can have fitted, how long vulnerabilities they have and how much of a status symbol they are. 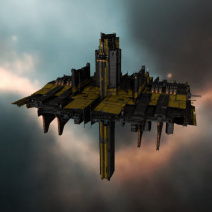 There is also a special Upwell Palatine Keepstar extra-large citadel. 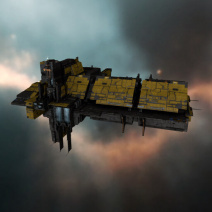 This citadel has ridiculously high material requirements, estimated at around 100 Trillion ISK and only one can be deployed at any given time. 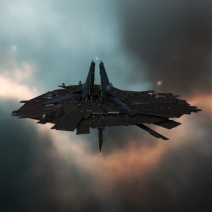 So far nobody has built a Palatine Keepstar. Refineries are structures of choice for refining materials, reactions and moon mining. These are the only structures that can do reactions or moon mining and also receive innate bonuses to refining yields and both reprocessing and refining service module fuel consumption. The two refineries are Athanor (medium) and Tatara (large). 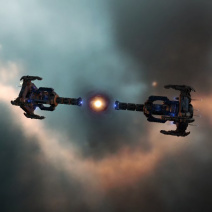 The Athanor docking is limited to only subcapitals while Tatara also allows rorquals to dock. 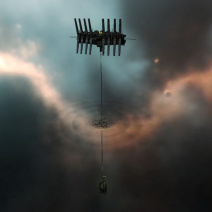 Anchor the structure within 250 km of moon mining beacon. The beacon can be warped to from the right click menu in space. Only one refinery can be placed within range of the beacon. Fire the laser at the moon. This will break off a chunk of the moon and allow it to be pulled away from the surface. The mining turret's tractor beam will gradually pull the chunk away from the surface. It will continue to move into position until the time you specified in step 2. Fire the laser again, this time at the moon chunk. It will explode into a lot of little chunks, or asteroids. Send forth your minions miners to mine the asteroid belt. Have them bring it back to the refinery to turn it into precious moon goo. While your miners are busy killing rocks, you can get started setting up the next cycle. Savvy players may note that this results in much more risky game-play than previous moon mining mechanics. The predictable timing of mining cycles combined with the high value of moon ores makes moon mining belts a prime target for pirates. Refinery operators should prepare a response against any attacks, as well as dealing with ninja miners attempting to steal moon ore.
Engineering complexes are the structures of choice for research and manufacturing. Research and manufacturing services installed in engineering complexes consume less fuel. In addition the engineering complexes have innate bonuses to manufacturing material usage, manufacturing and science job duration's and manufacturing and science job installation fees. The three engineering complexes are Raitaru (medium), Azbel (large) and Sotiyo (extra-large). All three limit their docking to battleships and below so once a built capital ship comes out it can not go back in. Sotiyo 1% 30% 5% 25% 6 subcapital + capital 36h Can build supercapitals. The Upwell navigation structures are much more specialized. They do not allow tethering or even ship docking. 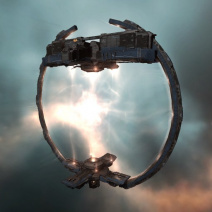 Upwell are comparable to NPC stations but with multiple distinct advantages. Warping to the structure is safe as you tether immediately after landing (if you have a weapons timer, you will NOT tether until the timer expires). Warping away is safe as you will do the aligning while tethered. Large tether radius makes it very hard to bubble whole structure. An Upwell structure with clone bay allows capsuleers to swap clones without cool-down period. To do this you need to be in the same structure as your target clone. The engineering complexes and refineries have significant bonuses that give them edge over stations. Additionally the Upwell Structures can fit manufacturing, research and refining rigs to further augment structure strengths. 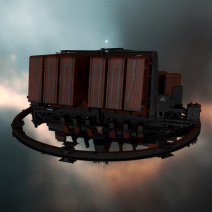 Upwell structures can be fitted with offensive capabilities. Upwell structures have wide variety of services available in them. Some services are available even in an unfitted structure but most services require a specific service module to be fitted. Services available as service modules. These services all require fuel to stay online. As these services require active module to stay online the service will go offline if there is not enough fuel. Offline service will pause all manufacturing jobs, stop market activity and lock the clones. The materials and clones that were in are not destroyed but they can not be recovered unless the service is bought back online. The industry/research jobs can be still cancelled but this will not return any of the materials. Out of these moon mining, reactions and (super)capital manufacturing services are the only ones with restrictions. All others can be installed in any Upwell Structure. Clone bay has additional limitations if fitted in wormhole space. You can not jump into a structure in wormhole space so the clone bay is limited to clone swapping. The Structure Browser is able to show you info on structures in same system, same constellation or same region as where you are. It has information about what structures and stations are accessible and what services they offer. You can find the structure browser in the NeoCom under "Business" or by hitting the Esc-button and setting up a shortcut for it. While you are in space your overview will show all citadels that you have docking rights for. Citadels that are on grid are shown even if no docking rights are available. Citadels to which you don't have docking rights are visible in solar map in brackets. This page was last modified on 7 April 2019, at 17:06. This page has been accessed 115,192 times.